What version of the ActiveX Control am I using? 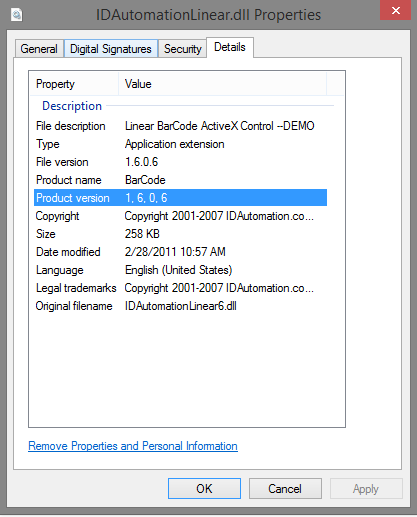 I want to find out if I am using the latest version but I do not know what version of the Barcode ActiveX Control that I own. There are a few ways to check the ActiveX Control version. 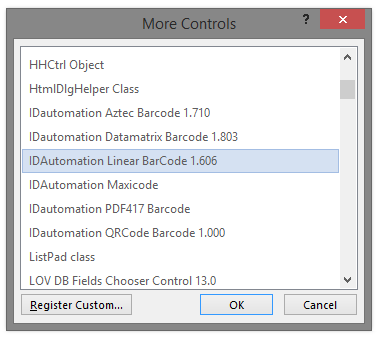 This post will use the Linear Barcode ActiveX Control as an example. When importing the ActiveX Control into an application such as Word, the product version should appear to the right of the control name. It is also possible to find the version by accessing the location of the file--in SysWOW64 or system32, right-clicking the file, and choosing Properties. Select the Details tab to view the version information.